Help support Harvest Park's new Jazz Workshop program! 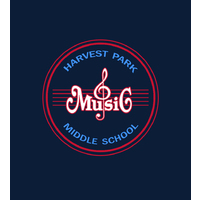 Harvest Park Jazz Workshop is an extracurricular activity that meets weekly for the entire school year, with performances at school concerts and at a jazz festival at Amador Valley High School. There are no school funds supporting this program, but there are costs of around $2,500 – stipend for instructor, costs for sheet music and participation in the music festival. Please consider donating $100 to help fund this new opportunity for Harvest Park students. Thanks! *Note, all eligible students will be able to participate in this workshop whether or not they have donated.